Simon & Schuster Books for Young Readers, 9781534416970, 352pp. 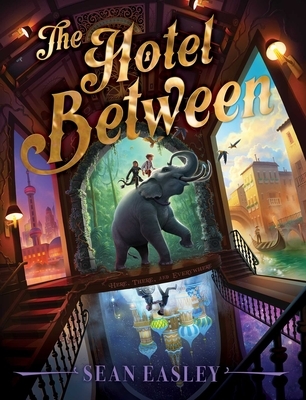 Cam’s wish is soon granted in the form of a glistening, golden sign with elaborate flourishes that reads: The Hotel Between. With doors that open to countries all over the world, magical trollies, charmed corridors that can be altered on a whim, stone elephants that come to life, sweets made from rocks; everything is possible in the Hotel. Cam has a hunch his father is somehow connected to this magical place, and may even be lost within its hidden halls. "Magic and mystery draw you into The Hotel Between, and I couldn't leave until I knew all its secrets. Can I make a reservation yet?" — James Riley, NEW YORK TIMES bestselling author of the Half Upon a Time and Story Thieves series. "A fantasy adventure brimming with action and anchored by familial love...The story begs a sequel and will draw fans of A Wrinkle in Time." "Purchase for large collections where fantasy circulates well." "This title will appeal to readers who enjoy fantasy, subterfuge, and adventure….Reminiscent of A Wrinkle in Time."